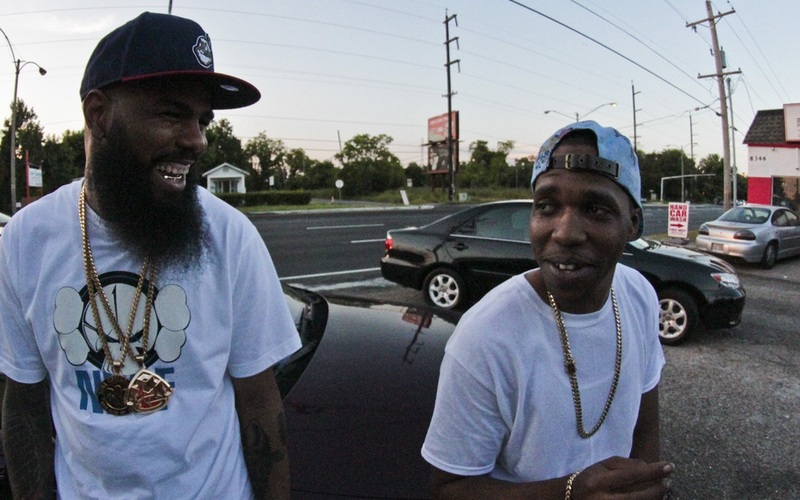 That's That...: Curren$y - "Address (feat. Stalley)"
I recently discovered that around this time of year, when kids are graduating from high school and college and other education-type institutions, I get a little nostalgic. Most people aren't good at saying goodbye to things they love, and I fall easily into that category. When you see other people re-living something that you can't have back, you naturally get a little bitter. Instead of examining a song that conveys empathy towards bittersweet endings or a song that's just plain bitter, let's take a look at "Address," off of Curren$y's debut (and I will argue tooth-and-nail, best) record. The beat is Ski Beatz at his best, laying spaced-out choral tones over a steady 808-break. Curren$y is at his best here, stringing together phrases with nearly non sequitur sequences that mesh into one bright but cloudy image. Meanwhile, Stalley plays a similar game, his laid-back everyman flow allowing him to make creative slant rhymes like "long beard / round here" to string his verse into one very cohesive piece of writing. However, the greatness of this song, and why graduates (and anybody else who is transitioning somewhere in their life) should take a listen, isn't in it's lyrical components. It's in the refrain. Fool ain't nothin' change but the address"
"Makin' hot wheels outta hoopties / holdin' it down like balloon strings"